KARACHI: Federation of Pakistan Chambers of Commerce and Industry (FPCCI) on Saturday said that the tighter monetary policy stance by the central bank has strangulated the investment in the country. In a statement Eng. Daroo Khan Achakzai, President, FPCCI showed his serious concern over the hiking of policy rate by another 25 basis points in last two months in view of prevailing inflation, devaluation of currency and twin deficit in Pakistan. The statistics clearly showing that investment to GDP in Pakistan is very lower i.e. 16.4 percent of GDP compared to 22.5 percent in 2007 while in India the investment to GDP ratio is 30 percent and in Bangladesh it is 31 percent. He termed the contraction in monetary policy as an anti-investment policy which has declined the economic activities in the first six month of the current fiscal year due to declining of large scale manufacturing growth particularly textile industry, food-beverages, petroleum, iron, pharmaceutical, electronics and wood products etc. He indicated that the 10.5 percent policy rate is very high compared to regional economies like India 6.5 percent, China 4.35 percent, Sri Lanka 9.0 percent, Thailand 1.75 percent, Indonesia 6.5 percent, Malaysia 3.25 percent etc. 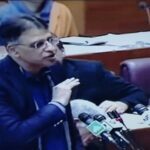 He said that the present inflation rate is 6.0 percent which is high compared to last year same period 3.8 percent; but this inflation is cost push inflation which cannot be controlled through demand management policies. The major cause of rising inflation in the country is high cost of doing business particularly utility prices, increase in the prices of industrial inputs and shortage of essential items of daily necessity. The government should focus to increase the demand for credit by declining interest rates and make easy access to finance. “Globally, the aim of monetary policy is to protect the value of the currency in co-ordination with the fiscal policy in order to achieve the objectives of macro-economic stability with constraining inflation and expansion of private sector investment,” he added. The President FPCCI further stated that the government should create its own fiscal space for financing its expenditures instead of borrowing from SBP and other institutions. During the first half year, there was an expansion in private sector credit, but is largely attributed to high cost of raw materials (cotton, petroleum products, etc), continuation of capacity expansion in power and construction-allied industries. This private sector credit should be expanded to other industries which are showing declining growth trend, he suggested.